Arcturian Ascension Tools: This Just In From Sedona! Our Equinox and Cosmic Trigger Gateway is upon us. Gatekeepers opened on the New Moon for this passage, and the ever-increasing Now moment energies are palpable. This is the second-to-last major Gateway of this transformative year. This alignment of cosmic factors, combined with our co-creative intent of Ascension is a timeline choice-point which requires focus and a calm, centered beingness as the influxes are delivered. Similar to last September’s timeline shift, only on a hyper-dimensional scale. Cosmic factors affecting our Ascension were covered in last week’s extensive list. With that awareness and integration in heart, Wayshowers are moving into a consistent experience of the Primary Timelines of Ascension. Primary Christed Timelines, which became available with the eclipse, will continue to raise willing, prepared consciousness into a clearer and direct experience of Zero Point and New Earth dynamics. The key aspect of Primary timelines is that they don’t feel like timelines. It is an unshakeable Now experience, unifying the multidimensional Self and Source as a simultaneous awareness. With conscious heart-based direction, Primary timelines release entanglement with the lower realities.They are encoded with the pure Christed dynamics, and overwrite the denser experiences of past, present, and future. 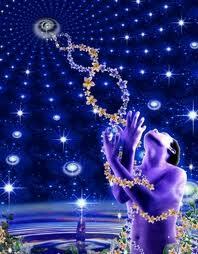 The boost from cosmic factors triggers our DNA to open to the new experience. DNA creates personal, collective and multidimensional experiences in form. It becomes a photonic light receiver-generator. This is individually guided by consistent heart-based thought patterns, consistent realignment with the now moment, and surrender to the personal revelations of the True Self. We have had practice for what is unfolding right now. Many are prepared to allow unity consciousness to become the primary experience. As we move into the Divine Flow of Co-creation, the sensation of unity consciousness grows stronger. When we combine the cosmic factors with our unified intent and active co-creation of Ascension, the pathways to the New Earth experience open up. The upcoming Solar activity, and Gaia’s adjustments to the increased photonic influx, are expected to be strong. We are still crossing the outer bands of this Galactic hot-spot. Galactic Teams won’t be stepping down the Light as before. Gatekeepers, Gridworkers, and Lightworkers are now skilled enough to receive and distribute the influxes. Let us demonstrate this with integrity and Mastery-level dedication. These new levels are consciousness-shifting, dimensional-shifting photonic waves. The acceleration of zero-point experiences between September 23 – December 23 will be powerful for many. It is a Divine opportunity for Wayshowers to embody the Christed merge of Higher and lower expressions. Cosmic factors are allowing the (much) higher vibration of the multidimensional Self to be experienced right here, right now. It will demonstrate what is occurring with planetary evolution, time dynamics, and the Divine Christed HUman activation before physical timeline bifurcation occurs. Photonic re-ordering shakes the old magnetics loose; physical effects on the kingdoms, elementals and Humans are just the external representation of the alchemical process of transformation. Parent your reactions if triggered by the trigger; may all receive this with as much ease and grace as possible. Enough of us are capable of maintaining a calm, centered, willing consciousness. 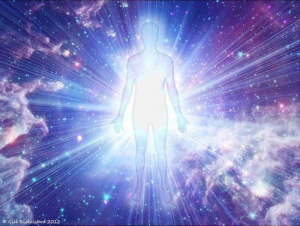 We comprehend what is occurring, and consistently beam the new experience through the HUman Heart Grid. We call forth the New, decree our intentions and live them with a joyful heart. Unity Consciousness is gaining momentum, and the photonic sorting out of resonances is felt. I notice this in the Unity Meditations; the Light Tribe is undergoing vibrational coagulation, like a resonance attractor pulling similar frequencies together at the Higher Level. We are representing thousands in our Soul groups as this happens. The quantum effect grows stronger as we enter this Galactic hot-zone. We may use this to our advantage in co-creating global peace and Ascension. Join us on SUNday for the Unity Meditations, which are becoming a massive code and upgrade-share. You can tap in any time to this field for support; we created it to be of Pure Service to the Ascension. The current experience is not containable in words. Metaphors attempt to ground this brilliant Now transformation, and reminders to participate can still be expressed. Beloveds, take these messages to heart and choose your path wisely. Cosmic influxes are influential; what we do with them is our co-creation. 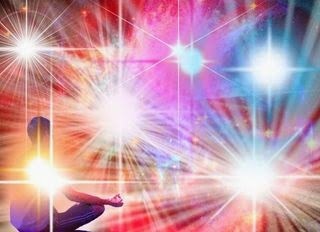 Remember this type of Ascension is designed for Divine Christed HUmans; the ability to serve as creative conduit of Source intelligence, regardless of the density or holographic reality. Assist your DNA and focus: Meditate, fast, get offline, create beauty, be outside in nature, amplify the Grids … demonstrate heart intelligence with your personal journey. What would a resident of New Earth create in this moment? Zero-point is teaching us 5D Divine-Flow manifestation, which enables pure heart-magnetics to demonstrate the New. Let your thoughts, emotions, words, and activities reflect the ideal New Earth realm, and the Gates will open within your heart. Vibration = Vibration. Enjoy this Sacred passage, Beloveds. Stay Present to receive the Gifts. Photo at top: Sacred Gateway from the Sedona New Moon ceremony- honoring Divine Cosmic Mother and Trinity Stargates. Flower petals, crystals, and glow-in-the-dark pebbles that served as a cosmic fire circle after SUNset. 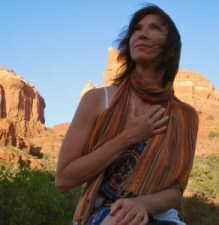 Gratitude to everyone who attended the Sedona events! BLESSINGS AND PEACE TO ALL OF CREATION! My name is Michael. How may I contact DT?